Happy Birthday Macaron girl! Or at least that's what i'll call her to keep her identity hidden. My girlfriend found a nice Italian restaurant in the Daan area. According to the reviews she read, it scored some pretty high points. I was at first still skeptical as good quality Italian food is hard to come by in Taipei. To start off, it's a quaint shop hidden away in an alley, away from the main street. They do have a small patio at the back of the restaurant and a small waiting area in the front where the gelato refrigerator is. If you walk over to the shelving area, you'll find they also sell some Italian ingredients. For example, black truffle sauce, arborio rice, pastas and aged Aceto Balsamic Vinegar. Unfortunately, when we were called we had to squeeze four people around a small table in the front. This was due to a party reserving all the tables in the back of the restaurant for the evening. They were as accommodating as possible. However they said they'd move any available tables over. From the beginning to the end, throughout our evening, there was one larger table in the back that remained unused. Moving on, once the food arrived, I forgot about our small quarters because I didn't want to spoil my friend's birthday. Once we received our food (not at the same time I have to add) we dug in. The pasta was damn good! Probably the best pasta i've had in Taipei so far. 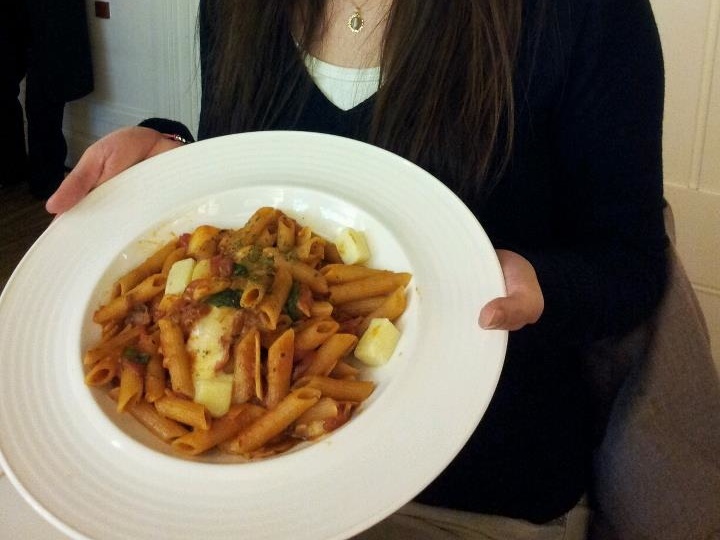 The portion sizes weren't too small and the meat/pasta balance was good. 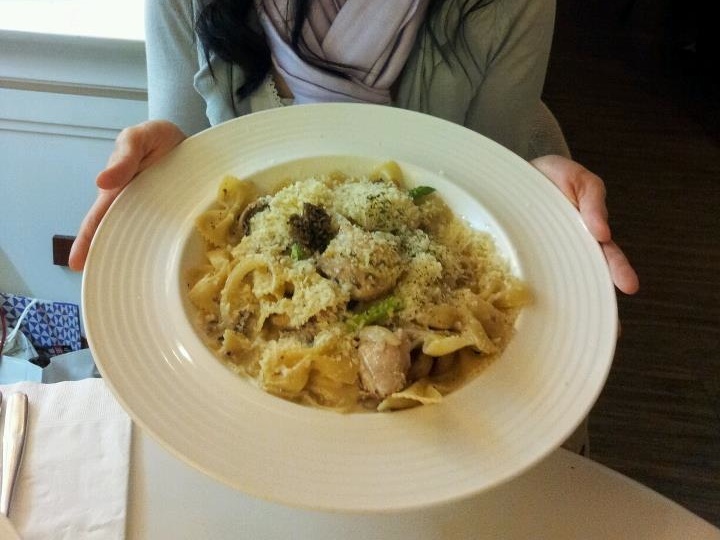 Especially the pasta with the black truffle oil on it, gastronomically stupendous. I forget the name, but look for the black truffle oil. Absolutely have to order that one! 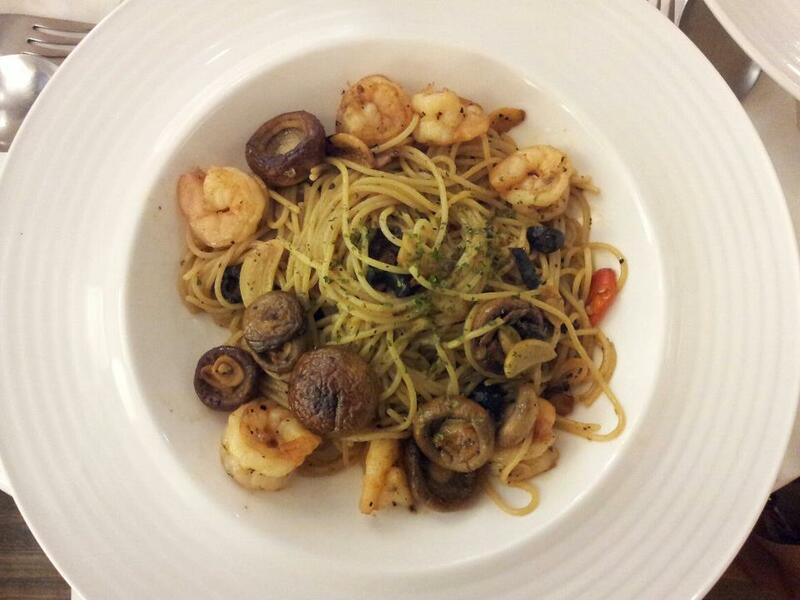 The spicy pasta with mushrooms 'n prawns and the mozzarella penne was also excellent! In addition, they gave us a plate of rosemary bread and balsamic vinegar. I love balsamic vinegar with bread! For dessert, we got macaron girl a macaron cake covered in chocolate and filled with fruits. It was deliciously awesome! 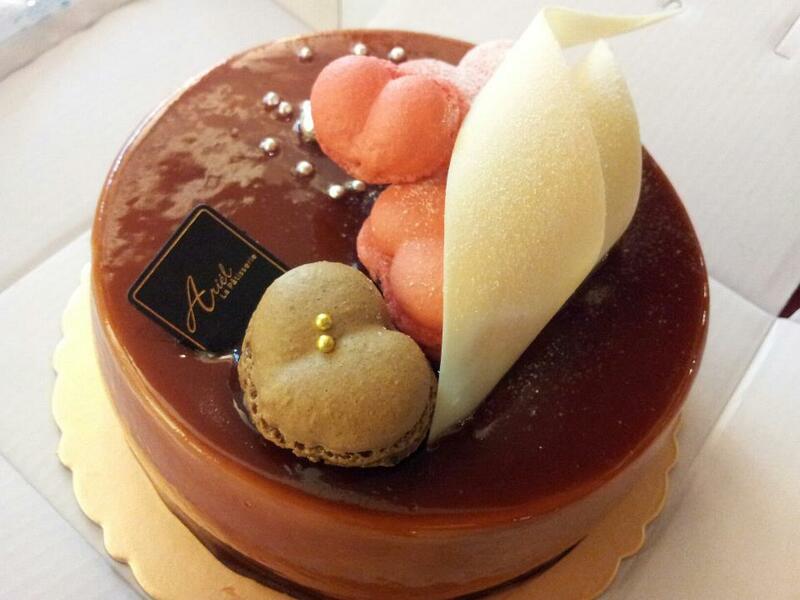 A perfect blend of sponge cake, fruits, chocolate and sweet macarons. I got it in the food court at Q-squared. She loved it and I'm glad she loved it. However to sum our meal up, A+ chef, B- service. Despite the slightly sub par service, the food was excellent. I'd want to come back and try some more of their pasta and possible purchase some of their aged Aceto balsamic Vinegar. Oh and by the way, after asking the wait staff, the risotto does not use Italian arborio. They use a cheaper southern Taiwan rice alternative. I sneer at that, but sometimes you just have to cut corners to meet public demand. Prices range from $300-$500. Reserve ahead.